A fully certified real estate notary is available tohelp you with buying or selling property! To provide the highest quality of professional service using knowledge and expertise in a caring, compassionate manner so that every client has a positive, enjoyable and memorable experience. (see the detailed list under the “General Notarial Services” Tab). Hello. I am Jennine Fitterer Notary Public, and I can help you with all your notarial needs. 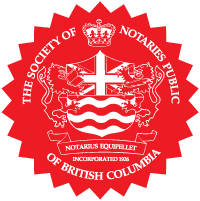 Before being commissioned as a Notary Public in 2006, Jennine received a Bachelor of Science degree and completed the Professional Development Program (PDP) at Simon Fraser University. She taught high school mathematics for 5 years. Within that time, Jennine did part-time conveyancing in a Notary office. She enjoyed the legal profession and the one-on-one interaction with the clients so much, that she decided to work full time while taking the Notary Preparatory Course through the University of British Columbia. Her skills as a teacher and conveyancer have shaped the scope of her notarial practice. Knowledge, experience, professionalism, compassion and the ability to understand individual’s needs are only some of the attributes that you will find when visiting her office. 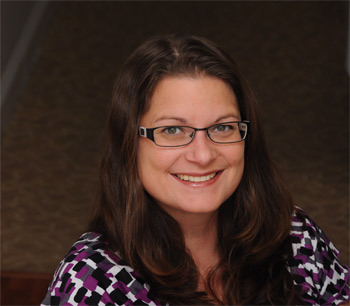 She prides herself in providing exceptional service to each and every client. Having a balanced life between home and work is very important to Jennine. She is married and has a beautiful daughter. On her days off she enjoys spending time with family and friends, going camping, fishing and swimming. "Excellent service - Jennine was very helpful setting up power of attorney for my mother and I - I would definitely recommend her to anyone l..."
"I was very impressed with the quality of service! Jennine was very knowledgeable and helpful, she made my Will a very easy task to complete..."
"Jennine recently helped us with our home sale and purchase. She was very personable, efficient, knowledgeable, and made us feel very comfor..."